JOHNNY GOTTHARD FRIEDLAENDER (GERMAN/FRENCH, 1912-1992) "LE GRAND PAYSAGE"
globalrep1 has no other items for sale. 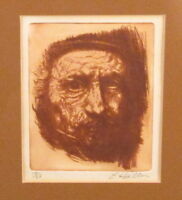 Vintage Drypoint Etching Signed E. Haller "Homage to R. (Rembrandt van Rijn)"! 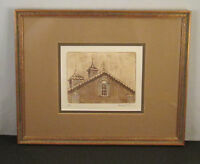 Vintage Architectural Drypoint Etching Signed Haller Country Barn With Cupolas! 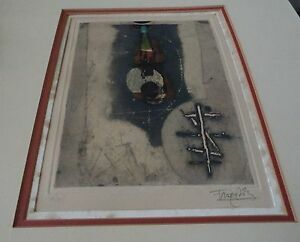 VINTAGE R.H. PALENSKE Etching Antique Frame, Signed, Titled "Holiday Travelers"
John Collette Framed, Matted & Signed - Original Etching "Covered Bridge"